No matter how many patients you serve and how low your denied claims rate, any and all unpaid balances weigh down your revenue stream and overall practice management. 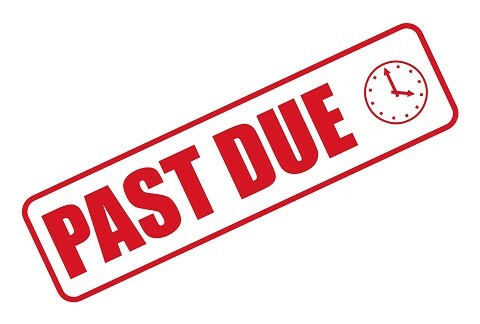 Since collecting past due balances can be complicated, many practices keep unpaid copays and other bills on their books for far longer than they should. A few simple steps can go a long way toward streamlining patient collections and keeping your revenue stream consistent. Incorporate these efforts into your practice. Asking for money from patients – even when it’s overdue – can be uncomfortable, especially for newer employees. Make payment collection part of your incoming training plan for front desk attendants and, if your long-time clerical staffers are failing to get payments in the door, retrain them to be direct and straightforward with patients regarding balances. One best-practice tip is to instruct employees to ask a patient an open-ended question (such as “How would you like to pay your balance today?”) rather than one that the patient can respond to with a simple yes or no (as in “Would you like to pay your balance today?”). The latter question makes it too easy for the patient to provide a negative response. If the same patient repeatedly tells your staff members that he or she cannot afford to pay, be open to working with them on a payment plan. Getting some money from a patient is always better for accounts receivable than getting nothing – even if it’s just small amounts spread out over time. Designate a member of your staff as the point person for creating patient payment plans. Make it part of your policy that the staffer follows up with patients if they don’t follow through as planned. It’s likely that more than a few of your past-due patients aren’t struggling financially but are refusing to pay for other reasons. Worse yet, they may be coming back repeatedly to abuse your kindness if you don’t force them to pay up – racking up thousands of unpaid charges on your balance sheet. Send patients certified letters when they fail to pay after a certain amount of time has passed (some practices use 90 days as a benchmark). Follow up with letters indicating that the patients may be dismissed for failure to pay. And involve your doctors when necessary; sometimes a message directly from an MD is stronger than one received in the mail. Many practices work with collection agencies to pursue payments after their patients go off the radar – though the effectiveness of that method is middling since agencies charge high overhead fees. Keep in mind, however, that there are other services you can employ to streamline A/R before reaching the debt collection step. Outsourcing medical billing is one way to place more muscle behind patient collections, since medical billing companies typically have defined schedules and procedures for following up with delinquent patients. Engaging a medical billing service can also help you review operations to see where payments are slipping through the cracks. How have you optimized your collections processes?